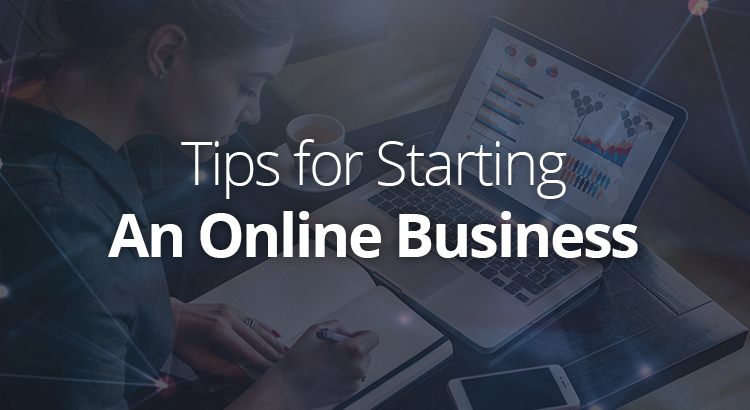 The first thing you need to consider is the overhead of starting an online business which can be drastically reduced by going for drop shipping. What this means is that you’ll simply be a link between the buyer and the manufacturer and, therefore, avoid the need to have the items you’re peddling in stock. This also reduces the risk, seeing as how you’ll never get a warehouse full of items that you just can’t sell. Here, you’ll have a profit margin for each item sold, even though it will be somewhat smaller than if you were to purchase these items in bulk. Some people prefer to start their online retail business on marketplaces like Amazon, which is a simple, inexpensive and quick way to get yourself in the game. All you have to do is pick the category of your profile and set it to the individual ($0.99 fee for each item sold) or the professional ($39.99 per month) and you’ll be ready to start. On the other hand, when you look at the long run, it’s usually much better to start your own platform. Why? Well, first of all, because you’ll be able to avoid these fees. Second, because you’ll add more legitimacy to your stock. Due to the fact that anyone can put anything for sale on Amazon, there are a lot of scams and hoaxes out there. Both of these problems can be avoided by creating your own e-commerce platform. All that you need to do is find a platform like OMNYFY that will enable you to create your own e-commerce marketplace and fully capitalize on your sales. Another thing you need to do is start a blog in order to boost your credibility and drive some traffic your way. However, in order to maximize the efficiency of this project, you need to start a blog that belongs to a niche tightly connected to your industry. Only in this way will you be able to drive organic traffic to your e-commerce website, as well as know that each person visiting belongs to a demographic colloquially called low-hanging fruits. Furthermore, it’s much easier to insert the link organically if the topic at hand is closely related to your products. Lastly, if things go particularly well, you can even consider turning your blog into an e-store. Needless to say, this is a path that a lot of bloggers chose in the past. Another thing you can do is try to promote your business over social networks, however, keep in mind that people tend to be incredibly resilient to these targeted ads. Instead, you should probably go for a social media content strategy. Remember, there’s nothing wrong with shameless self-promotion, however, if you do this too frequently and too blatantly even some of the most interested people will reject you in time. Keep in mind that people place their interest over yours, which is only natural as well as the reason why you need to offer them something of value. This is why you need to create at least five or six instructional, entertaining or informative videos for each promotional piece of content that you share. Another thing you need to worry about is a validation of your work in the digital environment and one of the best ways to get it is through the UGC (user-generated content). When looking for real answers, people are more likely to go to sites like Quora or Reddit, while they’re as likely to visit industry-specific forums in search for answers. This is because people tend to believe those who they see as similar to them. By going for UGC, you’ll be able to fully capitalize on this idea, as well as relieve your content marketing team of the significant part of their work. This means more focus on their core tasks, which, once again, results in a higher quality of content. At the end of the day, you need to understand that in the business world, there’s no one holding your hand or telling you what to do. Of course, each of the above-listed steps is mandatory, which means that you can safely ignore them all, while, on the other hand, you can do some independent research and planning on your own and do much, much more. It all comes down to personal choice and your own ambitions.